Theme Week: Easter - Pebbles, Inc.
Hi everyone! The theme for this week on the blog is Easter. I’ve asked some members of our design team to come up with projects to reflect this theme and they’ve done a wonderful job! Design team member Cherie Nymeyer created this adorable card perfect for Easter. Here’s what Cherie had to say … “I haven’t celebrated Easter in a while so I was a little intimidated to create something with that theme. However, I’ve always wanted to try a shaped card so I thought this would be the perfect opportunity. I’m really happy with my “easter egg” card and will be mailing it off to someone special!” Thank you Cherie for the inspiration! 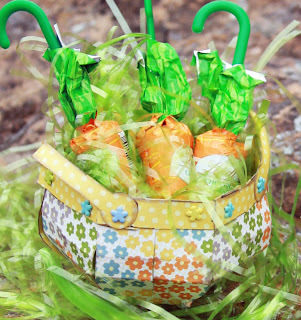 Design team member Susan Dupre created this adorable Easter basket using one of our newest collections May Bouquet. 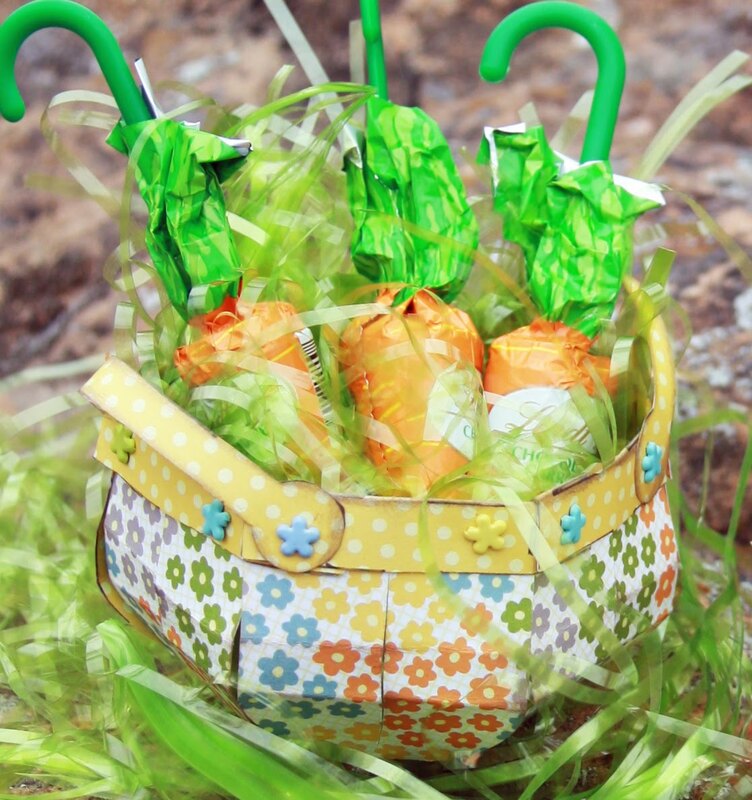 Here’s what Susan had to say … “Seeing that Easter is just around the corner, I thought it would be fun to make a cute little bushel basket full of chocolate carrots. 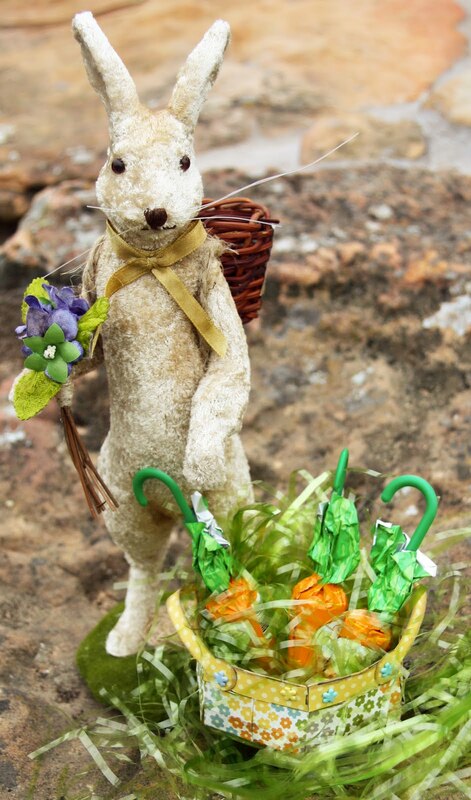 I used Pebbles “Bloom” paper from their May Bouquet collection and a template for the basket from “Hot Off the Press.” Happy Easter everyone!” So cute Susan! These are wonderful, perfect for spring! !